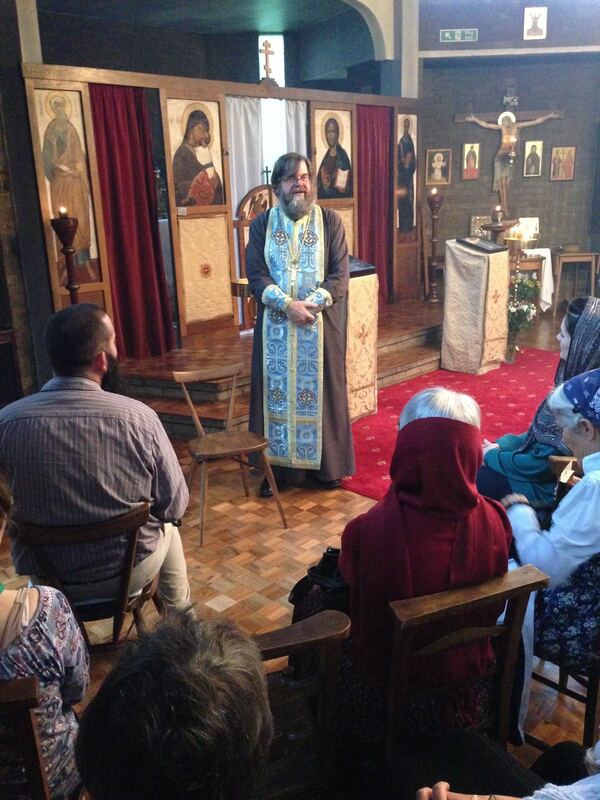 (28th September 2014) From 2nd-11th September, the Institute led a group of ten pilgrims on its first-ever educational pilgrimage to the United Kingdom, combining all the traditional elements of an Orthodox pilgrimage — journeying to sacred sites, Divine Services and the veneration of holy places and saints' relics, opportunities for repentance, confession and communion in the context of sanctified sites precious to our living heritage — with educational elements aimed to help pilgrims better understand the rich history into which they were being immersed. 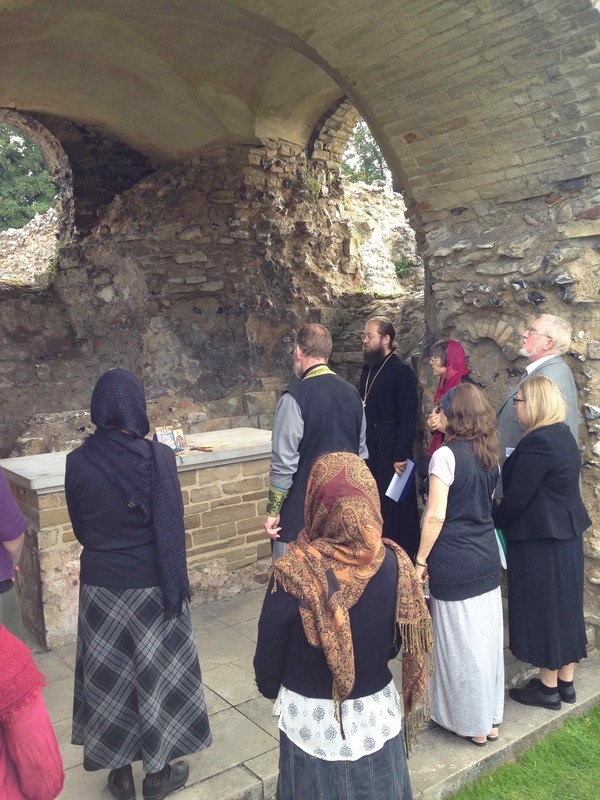 These included guided visits to remarkable sites with commentary by historians and experts, as well as lectures and talks by Orthodox scholars, monastics and clergy dedicated to providing pilgrims with a deeper understanding of Orthodoxy's ancient and contemporary history in the British Isles. 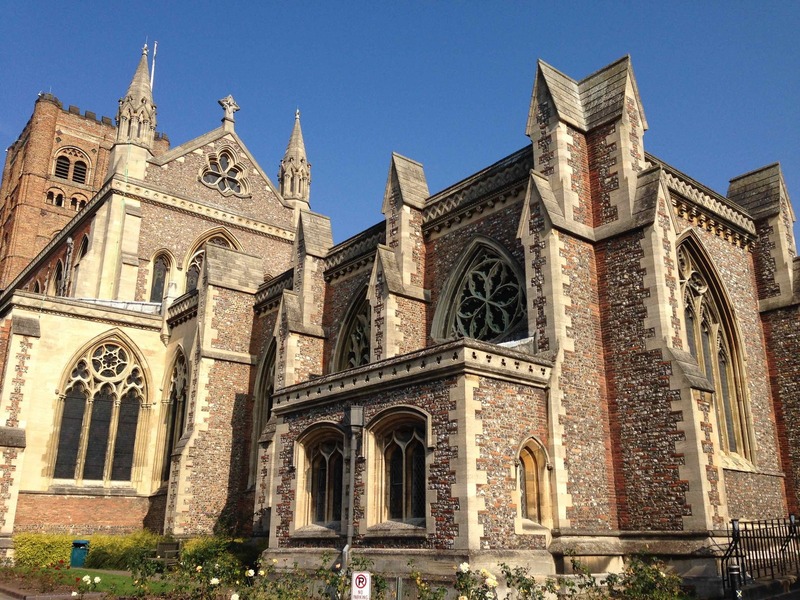 The site for the Institute's first such pilgrimage was the United Kingdom — not only because it is a region with one of the longest Orthodox histories of any place on the planet, but also because its rich history of Orthodox saints are so little known in many other parts of the Orthodox world. Pilgrims were able to walk in the footsteps of St Aristobulus, one of the Seventy Apostles, who brought the Gospel to the islands; of Sts Aidan, Cuthbert, Bede and others who conveyed its Celtic growth west- and south-ward through such places as the Holy Island of Lindisfarne into Northumbria and England. They were able to stand on the site sanctified by the blood of 1,000 holy martyrs under Diocletian, to venerate the place where St Chad's relics blessed the faithful for centuries. 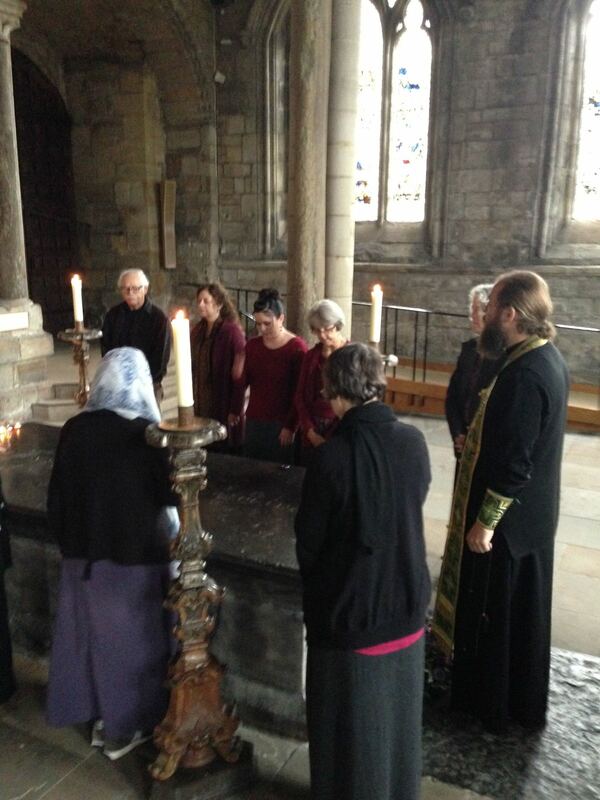 They were able to visit the site of Emperor St Constantine the Great's proclamation as Emperor, from which the freedom of Christianity would ultimately emerge; as well as the home of his holy mother, St Helen (Elena), whom many Orthodox do not realise was born in England and was a princess of Colchester. Pilgrims also venerated the site of the martyrdom of Britain's Protomartyr, St Alban, whose sacred relic was brought out for their veneration; as well as the relics of the little-known St Frideswide of Oxford (which reformers so energetically tried to destroy, but which God preserved), whose connection to St Margaret (Marina) of Antioch was direct and resulted in a miraculous well that still bursts forth holy water, which the pilgrims blessed and received. 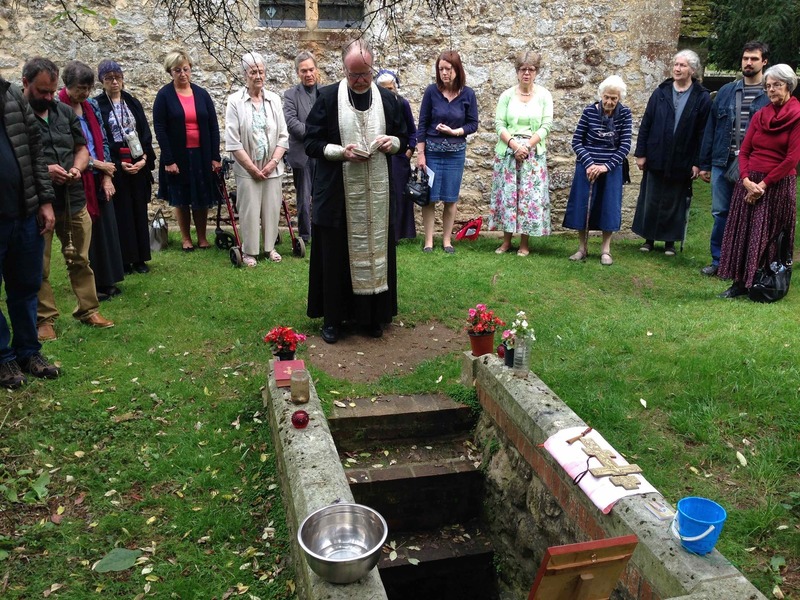 They were also able to spend half a day at the Holy Monastery of St John the Baptist in Essex, founded by Elder Sophrony of Essex and the Holy Mountain, where they had the rare privilege of venerating the relics of St Silouan the Athonite and participating in Divine Services; as well as walk the ground of some of the great missionary saints of England — St Augustine, St Laurentius, St Dunstan and others — in Canterbury. 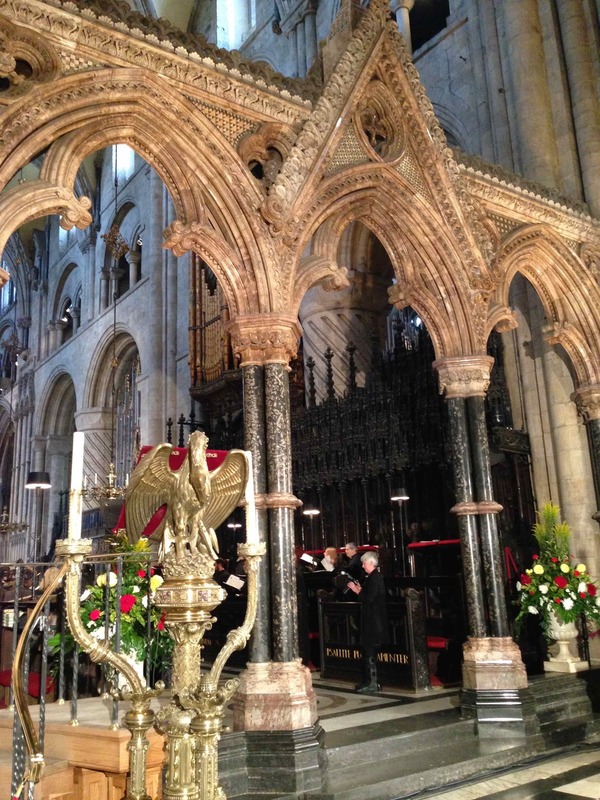 All this, amidst many other sites both sacred and cultural (from Edinburgh's kirks, to Durham's Cathedral and castles, to London's Westminster Abbey [where a moleben was sung]), to the Minster and churches of York, to the markets and colleges of Oxford, etc.). While being immersed in so much history and growing close to a great multitude of Orthodox saints (some of whom were known before; others of whom pilgrims only 'met' during this journey), pilgrims also partook of the living heritage of Orthodoxy in Britain today. From vespers at the Greek Orthodox Church of St Andrew in Edinburgh, to conversations with the priest of the parish near Lichfield, to Evening Services at the Greek Orthodox Parish of the Holy Trinity in Oxford and the Sunday Liturgy at the Russian Orthodox (MP) Parish of St Nicholas the Wonderworker in that same city; to a Monday Liturgy at the Russian Orthodox (ROCOR) Cathedral of the Dormition and Holy Royal Martyrs in Chiswick; to a veneration of icons and visit with the local Archbishop Elisey of Sourozh at the Russian Orthodox (MP) Cathedral of the Dormition and All Saints in Ennismore Gardens, London; to the unique Jesus Prayer service at the Stavropegic (EP) Monastery in Essex; to akathists and molebens served at shrines, relics and holy wells throughout the countries — often joined by members of the local Orthodox parishes — pilgrims were truly immersed in the Orthodoxy that is alive and growing in Britain today. 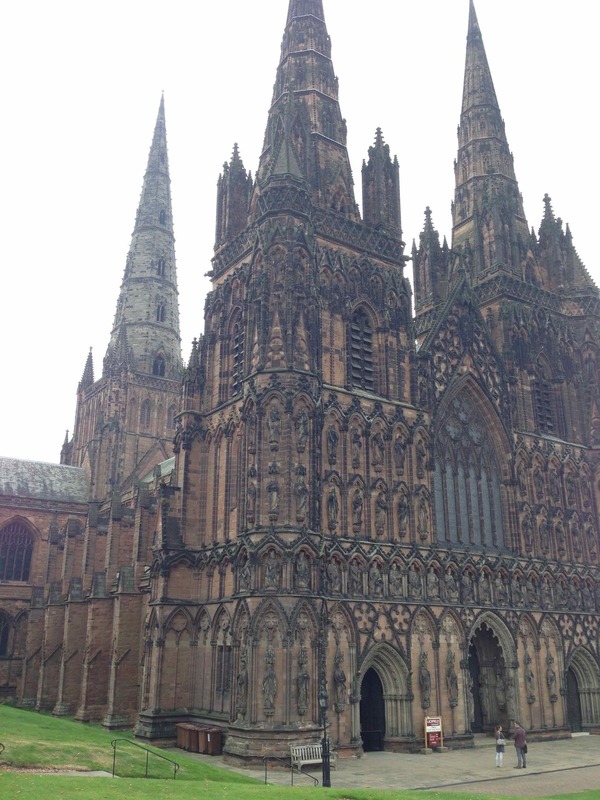 It is hard to convey the great spiritual joy and blessing felt by pilgrims during this nine-day excursion through what was, in the end, only the tiniest fragment of the Orthodox history in the British Isles. The Institute's first pilgrimage group — made up of pilgrims from Northern and Southern California, New York and Mississippi — was dedicated to the spiritual journey of this pilgrimage. From beginning each day with Morning Prayers together (oftentimes in a coach or van, en route to our first sacred site of the day), to communal preparation for Communion, to evening prayers together, every day was dedicated to growing in the faith through the intercessions of the saints who had hallowed those lands — and whom we all felt we carried away in our hearts as we departed. Holy Saints of Britain, pray to God for us! Extensive photographs were taken during the pilgrimage, which you can view in the following nine albums provided through the Institute's Facebook Page. These albums are organised roughly along the chronological timeline of the pilgrimage itself, and each photograph contains a caption explaining the site and place it held within the pilgrimage overall.